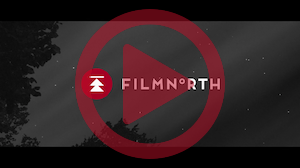 The FilmNorth Screenwriting Residency is a three-year program created by FilmNorth to support Minnesota screenwriters, with funding from the John S. and James L. Knight Foundation. Each year, ten finalists receive guided mentorships and classes to refine and improve their work. Also each year, one winner receives a staged reading and a $10,000 grant to continue developing the winning screenplay, as well as support from FilmNorth in fostering connections with industry advisors and production companies. The Screenwriting Residency is awarded to the most promising screenplay. Minnesota screenwriters, whether they are beginners or veteran writers, are invited to submit their best screenplay(s). This is a blind competition, where two sets of panels—one local, and one national—narrow the field down to the 10 best screenplays, and ultimately select the best one. The 2018 residency represents the third and final round of the program. Currently it is uncertain whether FilmNorth will be able to continue the program in future years. For questions about the residency, contact Eric Mueller, Program Administrator, FilmNorth, 651-644-1912, ext. 8 or emueller@myfilmnorth.org. Stillwater native Matthew Stenerson began working in film with Super 8 shorts. Experimenting in live theater, he co-wrote lip sync musicals set to the songs of Belle & Sebastian and The Magnetic Fields. He won the McKnight Screenwriting Fellowship for his screenplay, DEATH TO PROM and co-produced the resulting feature film. Under the pen name Edward Karlow, he wrote ECHO ISLAND, a novel for young readers. FADUMA & MIKE is his latest screenplay and he’s excited for the possibility to produce it in Minnesota. Matthew has been a screenwriting resident at the Oberholtzer Foundation, a Jerome Media Arts Grant recipient, and has made it to the second round at the Sundance Screenwriters Lab. 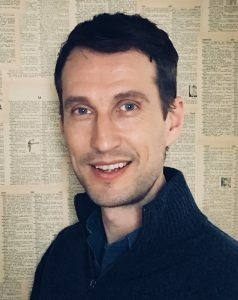 He has worked and volunteered for various organizations, including: Walker Art Center, Austin Film Society, South by Southwest Film Festival, and Stanford University. He lives in Minneapolis with his husband and their cat. A young girl suffering from a serious mental disorder escapes from an insane asylum. The Detective searching for her discovers the disorder may be more extraordinary than it initially appeared; that the child’s ‘schizophrenic’ visions are actually events yet to occur. The Chief of Police solves the murder of a young woman while confronting the Sheriff, who blocks his every move for jurisdiction, in order to protect himself from the Chief finding out about his ties to the murder victim and the killer. The tyranny and deceit of the Cold War had nothing on the kitsch-tastic Polly Pepperdine Kitchens in 1959. The newest member of the Kitchens, ingénue Violet, is poised to dethrone Cora, the diva behind the Polly Pepperdine name, while annihilating anyone else at the cake mix company who gets in her way. A widow must travel to a neighboring town to get medicine for her young son during an Oklahoma dust storm but when she arrives she discovers there’s something else in the dust killing people and needs to race the deadly storm home before it destroys her family. A young transgendered woman seeking to normalize her life takes a day job at a low-rent motel. She quickly learns that a maid’s life at the ‘Aqua City Motel’ is anything but normal. LAST LAUGH is a dramedy about three siblings who reconnect while trying to stop their father, a stand-up comedian, from marrying a trashy girl they went to high school with. Robert Oppenheimer races against the Nazis to develop the first atomic bomb, but his success gives life to a Frankenstein creation that he soon learns isn’t controllable. A disgraced ex-cop on her first assignment as an insurance investigator looks into the accidental death of a popular small town mayor and encounters a web of racism, betrayal and violence that forces her to reconsider her notions of law and justice. A mother and daughter move to a small town to rob the local bank, but their plans – and their lives – are thrown off course by friendship, love and a crusade to save the Mississippi River wetlands.